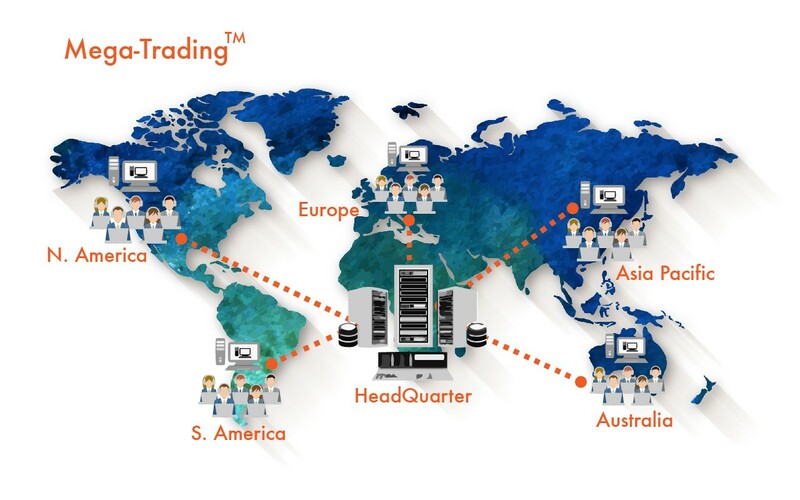 Mega-Trading™ - Create Tech Software Systems Ltd.
Mega-Trading™ is an real-time online system that simplifies all the complicated procedures of transactions, including Purchase, Sales and Inventory. Managing the inventory well does not only reduce the cost, it also helps with better investment and development on business. It is a wise investment to ensure its accuracy and boost its efficiency by using such a reliable system. Especially those global enterprises and cross-country enterprises. 07′ Hot Topic: Hong Kong has been changing from trading port to industrial base, service oriented and International Finance Center. Most of the local enterprises step up to cross region enterprises and even global enterprises by implementing information technology that could fully utilize the advantages of globalization. Online trading and services become very popular. Nowadays, Information is the key to survive, the efficiency and effectiveness of using information system is the major element of a successful trading company, therefore, Mega-Trading™ is produced. New version available: Food/Meat Trading Industry. Can monitor the transaction of every single stock in the warehouse, including sales, purchases, transfers and adjustments. Multi-unit Conversion, e.g. change 1 dozen to 12 pieces or 1 box to 20 pieces. The details and storage of the stocks are clearly shown with the balance, purchase quantity, reserve quantity, invoice quantity and available quantity. Globalize synchronize; Can update and access the data about Purchase, Sales and Inventory at once even the offices are separated distantly. packing list, delivery note and sales invoice by referring the master record so as to simplify the procedure. Real-time Access Help responding to the market instantly, satisfying all clients’ demands and providing good services. Consistency Update the data simultaneously and ensure the accuracy of data transfer. Security User Right Maintenance controls the rights of individual user that can share all the data among the company, whereas ensure its confidentiality. Integration Integrate the system modules, which facilitates the future development. Remote Management No longer restricted by locations or time difference. Users can master the data of its worldwide business and enhance the communications among the branches. Time Saving Shorten the transaction time and operation time. Cost Saving Centralize all the operation procedures and make the operation systematic so as to co-ordinate the departments. High Flexibility With high flexibility to further develop the system and satisfy the desires of individual company.